Now what do I use it for…Well I used it twice in the last two days..
1st… I am making a new quilt with my new line Homestead Gatherings..it has a big ol house on it with a willow tree…I used this glue to temporally hold down my bias cotton “branches” on the tree before I stitch them.. I have picked 3 winners for this drawing…they…they will receive the glue baste-it and some moda yummy fabric from my line! They are…. wow, a light that uses 1/2 the energy – no bulb – tri spectrum lighting – – sounds perfect to me – this is now on my list – Thanks Lisa for bringing your favorite things to our attention! My Ott light is not shining so brightly these days, I think that a new Stella light will be on my wish list. Another awesome product that I do believe I can’t live without. My “birthday” list is growing everyday you post! Thanks Lisa. Please send me your addresses…at primitivegatheringsquiltshop@yahoo.com to claim your prize!! I didn’t know they have changed the container for Roxanne glue . I guess I haven’t been spending enough time in my local quilt shop. Look forward to your Needful Thing each day. Oh I’ve been looking for a new glue! I’m currently working on one of Kim Deihl’s quilt patterns and need a good applique glue! A needful thing. Lots of uses for little dots of glue, rather doing cottons or wools. Thanks for the update. Something new and I love it. I use a basting glue, but it always plugs up and I have to use a pin to make the glue flow again. I definitely think I will buy this! I use this glue for wool basting, it holds so well. Looks like this is a must for doing applique. I appreciate that the manufacturer could come up with an improved applicator. Thanks for keeping up informed about all these great products. Sounds like that glue has many great uses!!! I would love to try it!!! Yea! I get to pitch my old glue that always get gummed up. I have to remove the top and scoop out the glue with a toothpick. Not anymore. I bet a dab of this would even hold my wool applique in place. This glue is wonderful for appliqué and applying binding. Yes, I agree. I used to get so frustrated with the long metal nose and now this smaller bottle works just great. Thank you! I can never get a sleeve on straight! I think this will be the trick I need to start using. BINGO! Something I already own… But it’s the old style Roxanne’s … oh well, I can afford the new improved product! Good idea about the quilt sleeve! I love the little bottle too, but it is difficult to find in my neck of the woods. I sometimes have to pry the top off and refill it from a bigger bottle of Roxanne’s and that top isn’t all that easy to get off! So glad to know about this product. I am always stabbing myself when stitching my sleeves. Does it work on wool too? I’ll have to check this out — I’ve been using glue baste it for years, trying all kinds of methods to keep the needle clear. I can’t appliqué without it!! Again, thanks for these needful things. I look forward to this blog every day. I end up using this glue for lots of different projects. It’s one of those tools you just can’t live without. Thanks for the tip on the sleeve. Merry Merry if I forget later on in this week or next. Thanks for this fun “needfull things”. Looks like I’m comment #20? Hey… that’s my birthday too so maybe my lucky day. 🙂 I have the other glue with the long needle and you’re right… it clogs and I’m always cleaning it with a thin wire and hot water. I didn’t know there was a new variety. Learning lots of things with your posts. Thanx! Love this glue! Another great suggestion to help quilters! I, too, got tired of the metal needle clogging. This sounds wonderful! Roxanne’s is my go to basting glue, too!! I often heat set it for immediate drying. Works great!! I have never used Roxanne’s glue before. I am so tired of the metal needle on the other product that I will go to any lengths not to use glue. I will give this a try. If you recommend it, it’s gotta be good. I did an appliqué class with Sue Garman years ago. She raved about this product and had the same comment about the metal tip version. Love this glue! It holds amazingly with a small dot. That little bottle goes a long, long way. A favorite in my sewing room. Yes, a good item to have. I’ve used this glue for my applique and it’s worked great. Happy Holidays! Love the way you glue your sleeve down. I am forever stabbing myself. Roxanne’s basting glue is the glue I use for my appliqués. Love the thin long tip. So glad that the tip does not clog. Thanks for sharing all these goodies. A new glue to use sounds great. Happy sewing. I had no idea the tip has changed? Thanks for keeping me in the loop! I new glue I can count on instead of getting frustrated w/the metal tip-your motions just get better and better! A great glue and anew and improved applicator. You say it’s good…it’s gotta be good. Thanks. Just this week, I was trying to de- clog the needle on my current Roxanne’s Glue Baste it. Always frustrating!! Love this glue! And a non-clog applicator makes it even better. Sounds like everyone has the same problem with their glue!! I will definitely have to try this. I just love all your “suggestions” for things we need to have! My wish list is getting longer and longer. I have liked using this glue too. Had problems with mine plugging up too. Glad this improved one is available. Thanks for all the things you share with us! Thank you for another great suggestion! Roxanne glue has been one of my favorite things for a long time. It works great on wool projects! Thanks for all your ideas and needful things you are sharing!! I discovered this also recently.. I use it a lot .. Could always use more.. I didn’t know they changed the tip on the glue container either. So much easier to use now! Thanks for sharing! Love the glue. Hate that it is usually clogged! I will be on the look out for this for sure…. Thanks so much for your daily posts! Love them. I too have the glue with the metal needle and it is always clogged. I will definitely buy this!! The little things like this help a lot! Thank you! What a great improvement! It will be in my shopping cart!! Thanks for yet another great item!! I love, love this glue!! Thank you for sharing another great product. So glad to hear about the new and Improved Roxanne glue. I had given up on this glue because it clogged . Thanks so much! I’d like to try this glue. It sounds like a great product! Love Rozanne’s glue! I use it on all my appliqué projects! Thanks Lisa for the great information about Roxanne glue baste-it! I used to love using it but quit because of the needle point always clogging. . .excited to use it again. I love following along with your “needful tjings”. Great info. I will have to try this new and improved Roxanne’ s glue. Like others, I hated unclogging the tip in order to use. Might have to give Roxanne’s glue another try. You may it sounds like a goat have with my sewing necessities. Still keeping my fingers crossed I’ll get lucky enough to win one of the great products. I have the old metal tip glue. I didn’t know there’s a new updated glue. I will be getting this one soon, I love your idea to glue the sleeve then stitch. Thank you for sharing!!! Glue baste it is my ‘fave’ too… I can’t stand that it clogs! Need a new one! I have heard great things about Roxanne glue! Will have to try it! Thanks for your tips! I think I really need to get in the habit of using glue more! Maybe I wouldn’t struggle so much trying to keep appliqué etc in place! Especially true since I tend not to use many pins either! And I HATE glue clogs. Must add this to my list. A new fabric line, Homestead Gatherings!!! I can’t wait to see what new wonderful fabric you have created for us. Love the name, I am sure I will love the collection too. Love the glue and glad to hear they have improved the tip. Okay Lisa, what about this new line…houses…willow trees…come on, you’ve got to show us…please? Can’t wait to see Homestead Gatherings! I have the old type of bottle of Glue-Baste-It…..I’d love to have the new one. Thanks for the tips on how you use it. I love Glue Baste It! That’s what I use to put my wool appliqué on the background instead of a fusible product. I love it for all my hand appliqué too because there are no pins for your thread to get caught on! I would love to try some new glue. I am always doing some kind of applique and a good glue is always handy to have. I love all your helpful information. Thanks for sharing with us.!!! I have never used Roxanne Glue Baste-it and really want to try it. Sounds like I need to stay away from the bottle with the metal needle. Thank you for sharing! I certainly appreciate your tips! Wow, I thought it was just me who had all the problems with the tip on the regular bottle of glue. Tried all kinds of things to keep it unclogged. Put a pin in once and of course the glue dried and the pin was stuck. Nice to know that there is a neat new alternative. I love this glue too. I’m giving my list of needful things to Santa…..now off to make a bigger stocking! Happy Holidays! Sounds perfect for all those little things.mmlive the list. I’ve used this glue for several years and it works so well for applique. I wouldn’t use anything else. I’m excited to see your new fabric line. Love your idea of using the glue to hold down your pockets for hanging your quilts. Wonderful idea I will start doing for sure. Thanks! Love this glue – love the smaller size even more! Thank you, thank you for this tip! I have a needle turn applique project I want to start after Christmas. I have never done a project like this before so I was wondering what glue to use to tack it down to the background. I’ll give this glue a try. Homestead Gatherings…love the name and I can’t wait to see fabric line and the quilt project you did with it. I do like the glue too. Look forward to seeing your new fabric. I also have the older version of Roxanne’s Glue-baste it with the metal tip, that is always getting clogged. This looks so much better. A great improvement to an already great product! I would love to try this no clog version. I haven’t tried basting with glue….sounds like a handy helper! I think this could be a handy helper. I haven’t ever used glue for basting but I could see the advantages! I have the metal tip Roxanne’s . . . have to run hot water through the tip every time I use it or it’s clog-city! Glad they’ve come out with a new version! Merry Christmas!! I thought I was the only one that ALWAYS had plugged glue! I have got to get this new version. Much less frustrating for sure. Merry Christmas to all the staff at Primitive Gatherings! I like your idea of using it to help with stitching down the quilt sleeve. Thank you & Merry Christmas! I agree this does sound a lot better than having to use the metal applicator. I think I need it to hold down some of my wool appliqué, thanks. I agree this is the best thing to use! Love the Glue-Baste-It, and use it all the time. Sounds like another item for the birthday list next year. I use this glue all the time, it works very well for wool! I have the old metal tipped bottle – and it is a pain in the patoot to clean out. I would love this. I use the glue to temporarily baste my binding down on the back side to make it more portable to hand stitch. I have never tried glue baste it– i always thought the little silver needle in it was kind of cool and distinctive, but it is good to know before i got some and found that out! 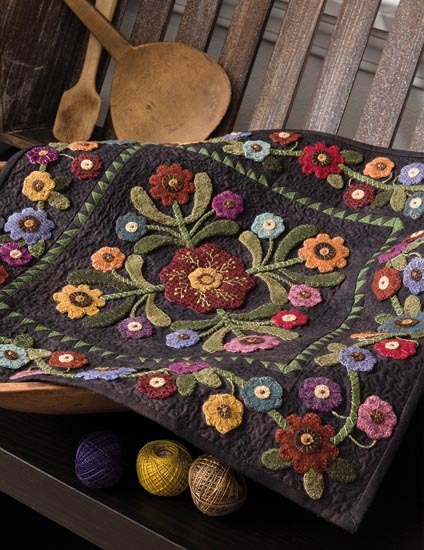 I will have to try this new one, I am not much of an applique person, but there have been times I wish I had something like this- Thanks Lisa for doing all the research on these things so we don’t have to! I guess I need to get a new bottle. I do like this glue. Thanks for the chance to win and happy Holidays. Thanks for the helpful tips. I have several applique projects in the works and look forward to using this new version of glue. That glue is so great. 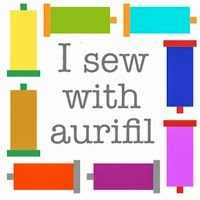 I use it on any applique. I have never glued very much – I’ll have to give it a try. Thanks for the suggestions. Happy Holidays! This glue is calling my name. I am so frustrated with the plugged metal tip on my glue bottle – which by the way isn’t easy to unplug. I’m definitely ordering this, and an extra bottle for a gift. 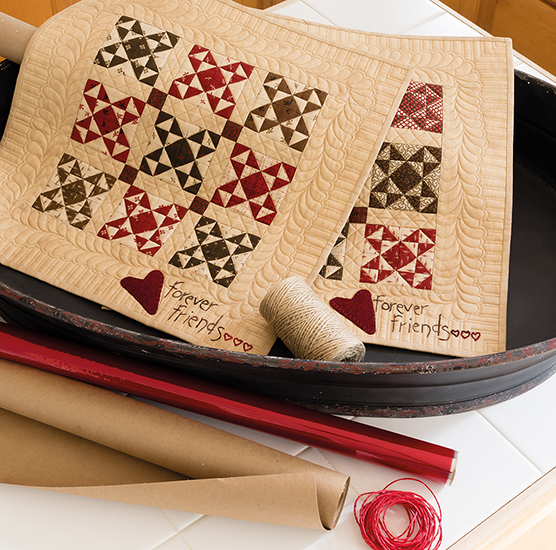 The new Roxanne glue would work great on your new tulip pattern quilt! I use this glue often, but didn’t know they came up with a new applicator. Can’t wait to see your new quilt and fabric line! I LOVE this glue but know what you are talking about when you say the the needle gets plugged! I was unaware that they have a new packaging that would take care of that! Thank you for keeping me informed on all the latest and greatest, but best of all, the items that are actually USEFUL! Reblogged this on barefootquilter2's Blog. I’m glad to see they changed the bottle and did away with the plugged needle. A new bottle of this is going on my list. Thanks for letting me know about this product. I loved the product, but that needle that always got plugged was so annoying! I love your new Homestead Gatherings line. 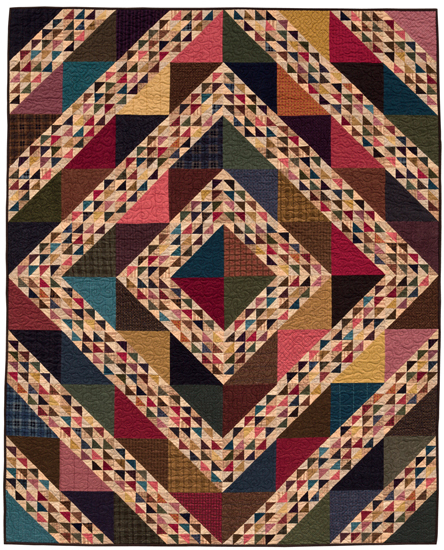 It would be perfect for the APQ Tone it Down quilt! I have to try this now — I’d avoided it after hearing of problems with the needle tip gumming up. I’d love to try this on … I just use the old stuff with a toothpick … this’d be so much easier! I love using this glue for applique! or sometimes we called it glueplique! A word of caution-Keep your glass of water away from your project. I once spilt a glass of water on a very detailed applique project and all my work was washed away! I love this glue, but haven’t tried the new and improved applicator. Would love to win this one?